Here at Jaguar Colorado Springs in southern Colorado we take pride in our large inventory of great Jaguar vehicles. Currently in our inventory is one final 2018 Jaguar XF Sportbrake – a beautiful 4-door wagon with plenty of space for you, the family, and even cargo. With an MSRP of $77,466, you will get a $10,000 discount with our Red Noland Price of $67,466. Equipped with a 3.0L V6 supercharged engine, you can expect an estimated 18 MPG city/25 MPG highway fuel economy! The features you can look forward to are just as impressive such as heated front and rear seats, heated door mirrors, low tire pressure warning, electronic stability control, head-up display, and roof rack rails. This Jaguar is also covered by our Jaguar EliteCare, which gives you the best in the class coverage of a 5 year/60,000-mile warranty. 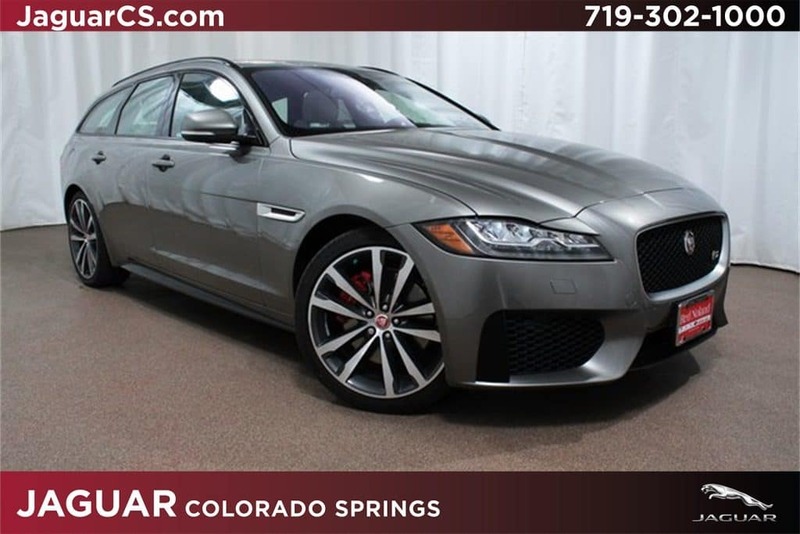 So, if this 2018 Jaguar XF Sportbrake sounds right for you, stop into Jaguar Colorado Springs today to take a look. Sit in this luxurious wagon and you will be impressed by the spacious capability paired so perfectly with the amazing variety of features!